I never wanted to learn how to cook catfish. I just never cared for the flavor especially when I could choose other fish to cook. In Florida, all through the southern states and even in my home state of Ohio, catfish is a favorite for many people. I know of many, even some of my family who would wait in line to get good fried catfish. Not only is catfish preferred in this country but is also a favorite in others like in Europe and Asia. The reason I never cared about learning how to cook catfish I simply thought the taste to be too strong. I remember as a child Dad talking about the different fish species. Many came out to the river by our home to fish for catfish. He explained how the catfish was a scavenger eating from the bottom of the rivers and lakes. That right there was enough to ruin my appetite! Many years later I accidentally ate catfish from a restaurant buffet. I never even thought that they would be serving catfish but found it to be so. It was so strong in taste so I would not eat it again and I certainly did not want to learn how to cook catfish. In the recent decade fish farming has become a large industry. After being encouraged by many to try catfish again; farm raised catfish. I decided to try farm raised catfish recently at a Cracker Barrel Restaurant. I was pleasantly surprised! 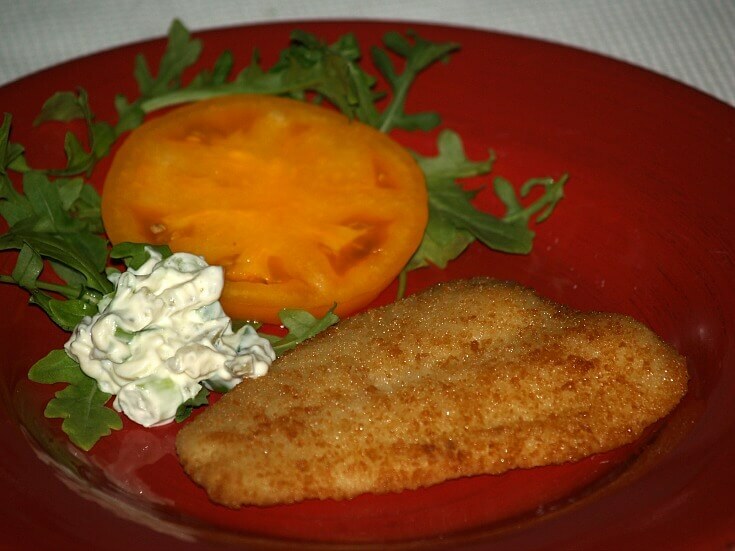 Instead of the strong flavored tough textured fish, this catfish was tender, mild flavored white fish. It was really very good and Cracker Barrel certainly knows how to cook catfish. It was lightly battered and fried to golden brown. The farming environment is the reason for this great improvement in catfish. It is now a perfect fish for a gourmet meal and many more people wanted to learn how to cook catfish. Years ago catfish was pretty much only used for frying. Usually it was covered with a heavy spicy batter (To cover the taste; my opinion!) and fried. Today, this light white fish may be fried, baked with or without breading, sautéed, microwave or even on the grill. A little lemon juice and butter is a perfect condiment to serve with it. Farm raising, or aquaculture, provides a totally controlled environment for the fish to grow. The fish are kept in fresh water with a diet of grain and feeding from the surface of the water. This controlled environment allows for the smooth texture and mild flavor of the fish. It is also suppose to produce a more nutritional fish; lower in calories and cholesterol. I do not know this to be a fact but fish is generally healthier to eat. Catfish farming also allows it to readily available for purchase. Mix the flour, cornmeal, salt and pepper together. Heat oil and butter until sizzling. Dip fish fillets into the egg/milk mixture and then dip into the flour mixture. Place fish in the hot oil/butter and fry about 5 minutes on each side. Drain and serve with tartar sauce. Sift together in a bowl the flour, baking powder, and salt. Combine the egg, milk and 1 tablespoon oil. Add egg mixture slowly to the dry ingredients, beating until smooth. Heat 1 quart of oil until sizzling. Dip fish into the milk/egg batter and carefully place in the hot oil.Cook and turn until brown. Learn how to cook catfish that is baked with lemon and parsley. Season fish fillets with the salt and pepper. Combine the lemon peel, juice, onion, parsley and mayonnaise and blend well. Place fish in a buttered baking dish. Spoon and spread lemon sauce over the fish. Bake for 30 minutes or until brown and fish is flakey. 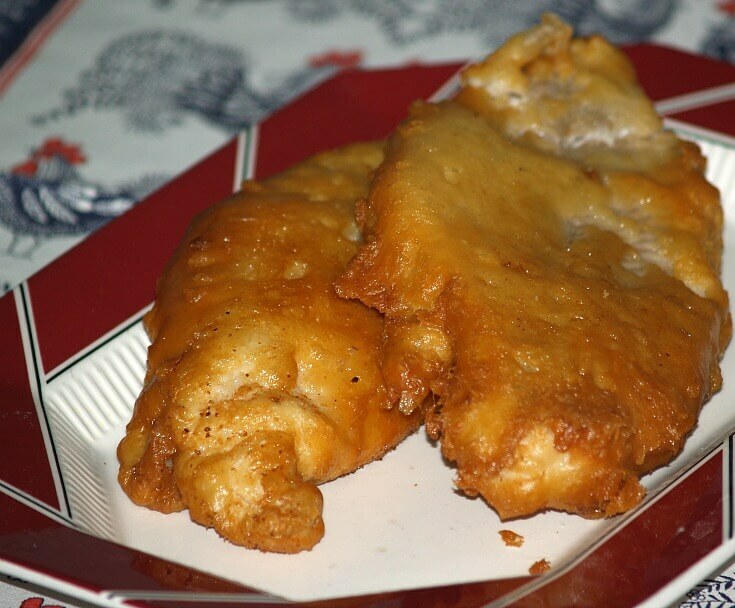 Learn how to cook catfish with this recipe from Tennessee. Beat eggs lightly and blend in the milk. Dip the fish in the egg mixture and roll in the cornmeal. Place the fish in a heavy skillet containing about 1/8 inch hot fat. Fry over medium heat; when fish is brown on one side turn it over and brown other side. Cook about 10 to 15 minutes depending n thickness of fish; drain on paper towels. Preheat oven to 350F degree. Combine and blend 2 tablespoons lemon juice, ketchup, chili sauce and hot sauce in a shallow dish. Drizzle remaining 2 tablespoons of lemon juice over the fish filets. Coat fish filets with the sauce mixture; place in a glass baking dish. Pour any remaining sauce over the fish filets; sprinkle with lemon pepper and salt. Bake fish until it flakes when touched with a fork. Cook bacon until crisp and drain on paper towels. Place fish on bun, top with bacon, onion slice, tomato slice and tartar sauce. Place catfish in a shallow dish; sprinkle with salt and cover with fresh water. Let fish stand 10 -15 minutes; drain fish. Rinse fish several times with fresh water; drain well. Combine paprika, cayenne, pepper, Italian seasoning and garlic powder in a small bowl. Heat a little butter and oil over medium high heat in a heavy skillet. Pat on 1 side of each fillet the spice mix; place that side down in hot fat. Pat spice mix on top side of each filet; when bottom has browned, turn fish over. Cook until fish flakes when stuck with a fork. NOTE: Add more butter and oil as needed. Rinse and pat dry fish; rub with salt, pepper and Italian seasoning. Roll in flour lightly in a heavy skillet heat a little butter and olive oil. Add fish to hot skillet; brown on both sides turning fish carefully. Cook until lightly browned and fish flakes easily with fork. Remove fish from pan; add more butter and oil if needed. Add almonds to skillet and brown lightly. Add parsley and serve over the fish; serves 6. Learn how to cook catfish with garlic and spicy chili sauce. Place catfish in a large glass baking dish. Combine ¼ cup of the chili sauce with 1 tablespoon of the oil. Brush both sides of the fish with the sauce; cover and refrigerate at least 2 hours. Heat a large skillet over moderate heat; add garlic tossing for about 15 minutes until soft. Remove from heat; cool garlic slightly and peel. Heat remaining 1 tablespoon of oil in skillet over medium high heat. Add onion and cook about 5 minutes stirring occasionally until beginning to brown. Add remaining 1 ¾ cups of sauce to the skillet; add cumin, pepper and toasted garlic. Cook and stir about 5 minutes until thickened; stir in the stock. Reduce heat to low and simmer for 10 minutes; season with salt. Remove fish from marinade; place on lightly greased broiler pan. Place under hot broiler about 5 minutes until nicely browned. Remove from oven and carefully turn fish over. Broil about 5 minutes longer until browned and thoroughly cooked. Transfer fish to platter; spoon sauce over the top; garnish with cilantro. Learn how to cook catfish in patties. Combine flaked cooked catfish, egg and next 9 ingredients in large bowl. Mix well and shape into 8 patties; coat with crushed cereal. Place patties on tray lined with paper towels; refrigerate for 1 hour. Pour oil ½ inch deep in large skillet; heat over medium. Fry patties in hot oil about 2 minutes on each side until golden brown. Drain on paper towels; garnish and serve with sauce. Learn how to cook catfish with jalapeno remoulade and lime sauce. Learn how to cook catfish and serve it with tequila cream corn. TO MAKE REMOULADE broil red bell pepper and jalapeno until charred. Transfer peppers to a bowl, cover with plastic wrap and cool. Remove the skins, cores and seeds; dice fine. Place diced peppers in a bowl; stir in mayonnaise, shallot, cilantro and lime juice. Season remoulade with salt and cayenne; cover and refrigerate for 1 hour to overnight. NEXT MAKE TEQUILLA CREAM CORN: Melt butter in large skillet; add shallot and garlic. Cook over medium heat stirring until softened about 1 minute; add corn and bell pepper. INCREASE heat to medium high; cook just until tender about 4 minutes. Add cream and tequila; cook stirring until slightly thickened. Just before serving stir in the scallions, cilantro and lime juice; season with salt. TO MAKE TACOS place catfish in a large bowl; cover with buttermilk and refrigerate 1 hour. Heat tortillas in skillet or microwave and layer them between sheets of foil; keep warm. On a large plate combine masa harina, cornmeal, cornstarch and salt. Remove catfish from buttermilk shaking off excess; coat with cornmeal mixture. Heat ½ inch oil in large skillet over medium heat, cook until golden brown on both sides. Place fish on wire rack over a baking sheet to drain. Toss lettuce with the lime juice and salt in a medium bowl. Place a spoonful of remoulade mixture on half of each tortilla; top with catfish and lettuce. Spoon tequila cream corn on 8 dinner plates; fold tortilla and place on top of corn. Garnish with tomato salsa, cilantro and sour cream; serve immediately. Learn how to cook catfish in the microwave with this recipe. 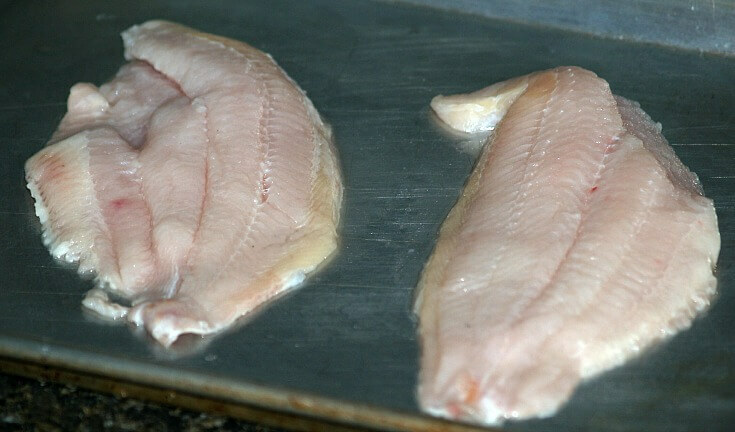 Rinse fish fillets with fresh water; pat dry. Brush fillets with melted butter; arrange in microwave baking dish. Combine garlic powder and lemon pepper; sprinkle over the fish. Cover dish with heavy duty plastic wrap. FOLD BACK a small edge of plastic wrap to let steam escape. Microwave on medium high (70% power) 4 ½ minutes. Rotate dish and rearrange fish in dish. Microwave 4 ½ minutes longer or until fish is opaque. Let stand COVERED 3 to 5 minutes; serves 4. Learn how to cook catfish by placing in the oven. Instructions for how to cook catfish: PREHEAT OVEN to 350F degrees. Combine cereal, celery salt, onion powder, paprika and pepper; set aside. Spray or brush each fillet on all sides with oil; coat with cereal mixture. Arrange fish fillets in single layer on a baking sheet coated with cooking spray. Spray tops of fish with cooking spray or drizzle with oil. Bake 30 minutes or until fish flakes when tested with a fork.